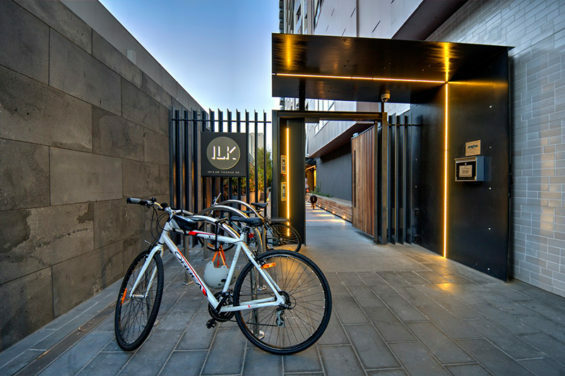 Located in the heart of South Yarra in Melbourne, the Ilk apartments have been designed to create a sense of community. The project presented an opportunity to create a series of landscapes for residents including a garden walk and two recreational podiums with a variety of residents’ amenities. 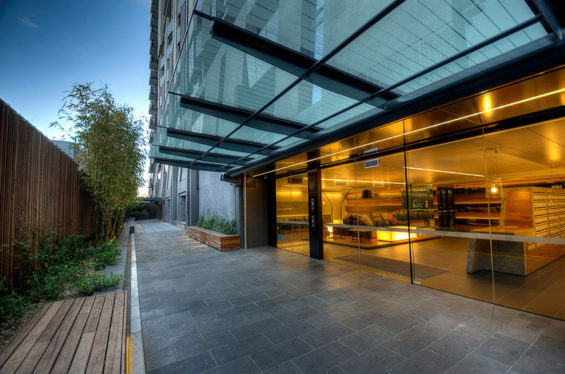 Hidden between the shopfronts and cafes is a contemporary residents’ entry which leads though to a secluded Garden Walk. 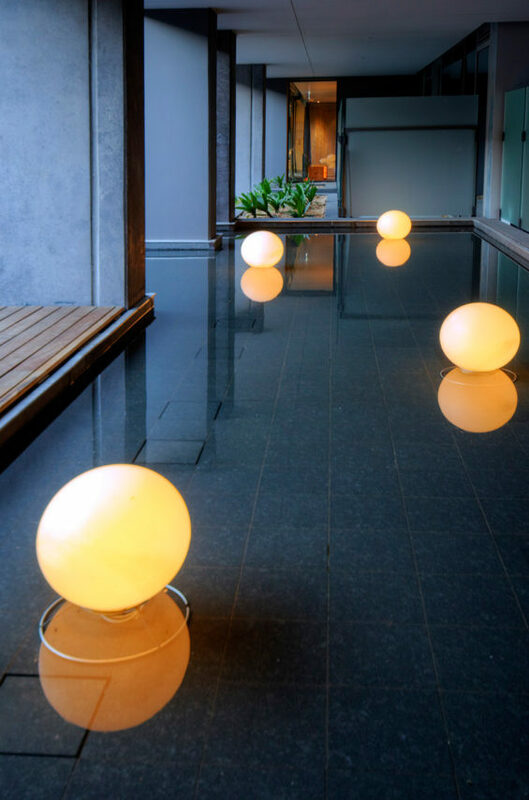 The Walk is rich with detail including timber seats built into the planter walls, a tapestry of paving and walling treatments, a cascading water wall and an ordered arrangement of Bamboo and potted Raphis palms, providing a sanctuary from the bustling street. 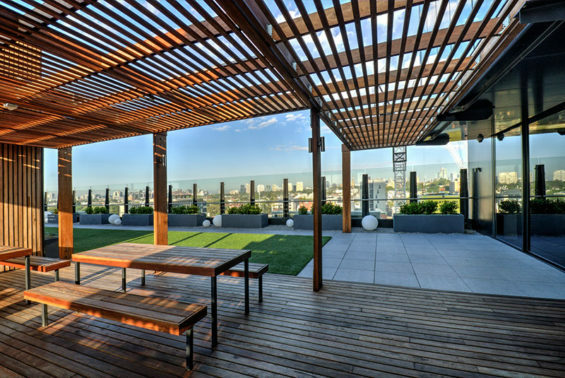 Located on level 9 is a communal recreation deck. Facilities include communal plots of fruit trees and herbs, a Teppanyaki bar with communal dining facilities, an outdoor lounge room with an overhead pergola draped in scented evergreen climbers. 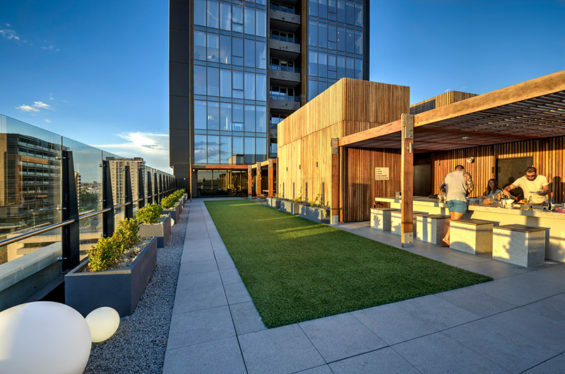 The orthogonal arrangement of timber decking, honed unit pavers, stepping stones and artificial grass help to define the deck and provide visual interest when viewed from above. The generous timber deck to level 3 provides an extension to the indoor pool facility. 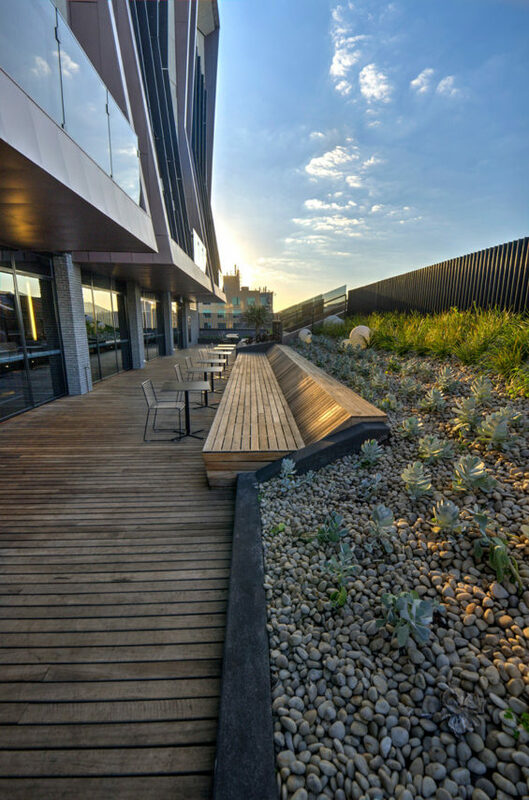 The deck wraps up one side to provide an informal backrest and an edge restraint to the raised, sloping garden beyond. The continuous planter along the decks southern boundary supports a carpet of succulent plants and is punctuated by a mature, multi-stemmed Dragon tree. 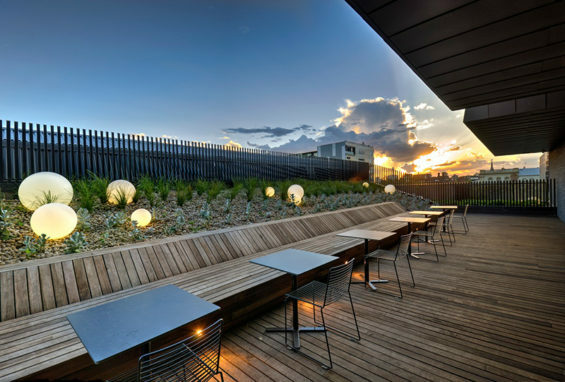 The richly-crafted landscape provides places for social interaction and quiet contemplation – from shared barbeques and bocce to quiet seating areas in the garden.